Our Online Solar Power Calculator estimates the cost of adding solar panels to your current residential or commercial building. Please remember these numbers are estimates and that your local installer can provide a comprehensive evaluation upon request. Visit your page and verify it works! 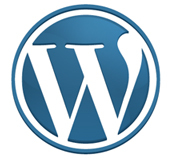 Publish a WordPress blog? Install this free gadget today. Our Solar Power Calculator is a great value-add for any solar energy contractor or professional looking to provide good-looking, functional, valuable content to readers. We converted the calculator as a wordpress plugin to make is simple for anyone to add to there blog. It’s a great little application that delivers a lot of value in a user-friendly and well-executed way. Add [SOLAR ENERGY CALCULATOR] to insert the calculator into any page/post.